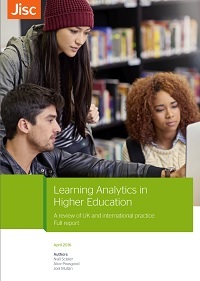 The next Jisc Learning Analytics Network Event is in London at Regents University in the beautiful setting of Regents Park on 15th February 2019. 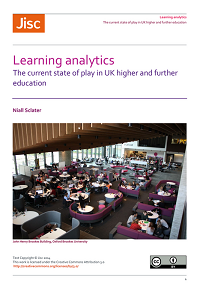 These popular events comprise a range of presentations and discussion sessions – and an opportunity to network with colleagues involved in learning analytics projects at other institutions. 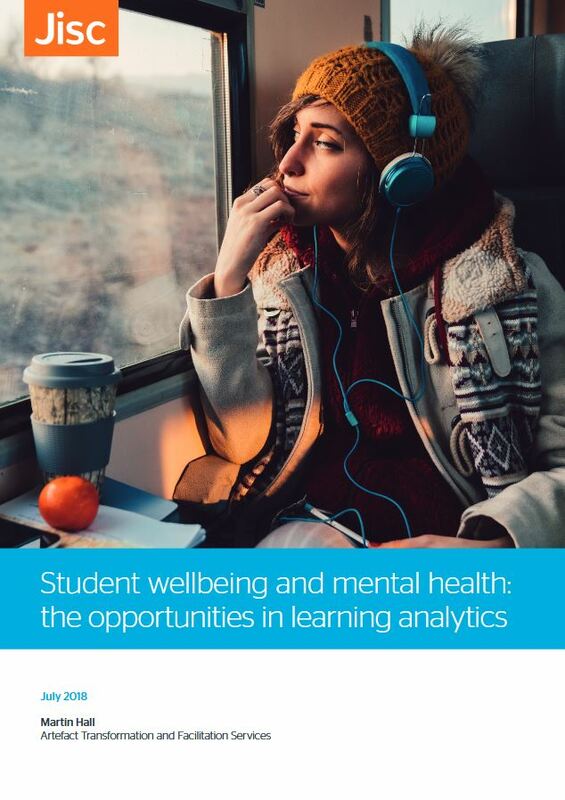 There’s no theme as such for the event this time, we will hear from the work that Regents University have done with their learning analytics project and evaluation and how they’ve been working with their students who can have complex needs. Jordan Crossfield and Maya Boustany will talk about their role as Student Achievement officers and how Learning Analytics can inform their conversations with students. 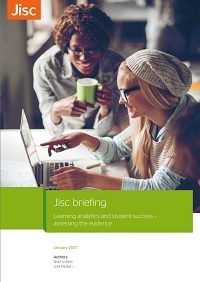 The Jisc Group Chief Technology Officer Steve Masters will outline the vision for Learning Analytics and the updates and progress made with the service plus any new developments. Paul Youngson from The University of Huddersfield has been working with the planning office for some years. 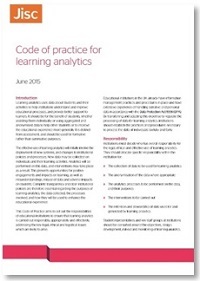 What they have done with Data and Learning Analytics is so impressive, it has to be shared especially around their TEF dashboard and data warehouse. Jisc’s own Andy McGregor will talk about the current projects to be developed within Jisc R&D department including Intelligent campus and Cognitive Analytics. We will have a demo of the Blackbullion* from Vivi Friedgut who will explain how they’ve been using their financial support platform for students to reduce hardship applications and engage higher numbers of WP students. 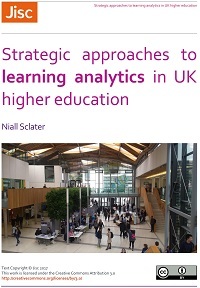 In addition Solutionpath will be talking about how they’ve been implementing Learning Analytics with HE institutions in the UK, time to value & needles in the haystack. 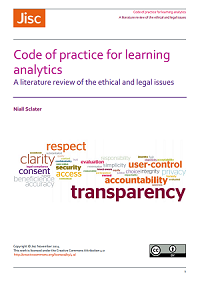 Finally, Niall Sclater will update the group on the latest developments from LA Cymru and Jisc’s learning analytics research group in the area of curriculum analytics, using data about students and their learning to enhance aspects of the curriculum.